Microsoft is working on Skype Teams app, which is very similar to Slack app. The new app will include Threaded Conversations, video calls, file sharing, bots and more. The app will also bring Office 365 integration. The “The Fun Picker” option in the app will allow users to add emojis, Gifs from Giphy, Memes, and a lot more. Skype Teams will also include features like ‘Channels’ where you can chat in different groups within a team. Users can also talk to each other via Direct Messages. 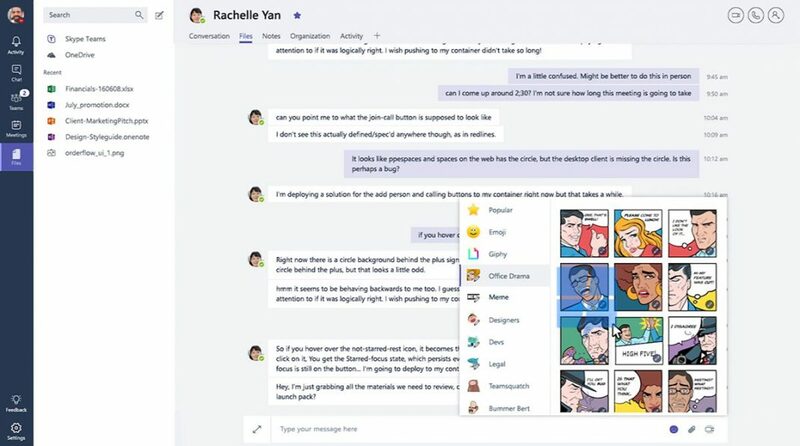 Microsoft Skype Teams is under testing right. The company will release a new app on all platforms like Android, iOS and Windows 10.